Rainwater Sign Choose from options. There are packs of smaller sizes available. 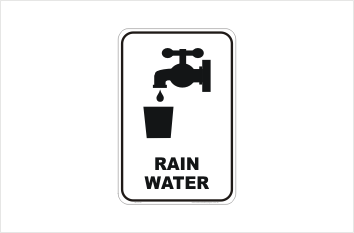 Use this Rainwater Sign to let people know that it is just that. 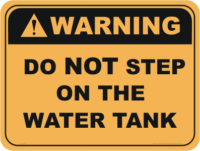 Rainwater that is stored, can still contain contaminents, depending on how it is collected and stored.